a This figure does not include Turkish settlers from Turkey. b This figure only includes Turkish Cypriot women who were sold to Palestinians in the early twentieth century. The number of Turkish Cypriot descendants in Palestine is unknown. Turkish Cypriots or Cypriot Turks (Turkish: Kıbrıs Türkleri or Kıbrıslı Türkler; Greek: Τουρκοκύπριοι) are mostly ethnic Turks originating from Cyprus. Following the Ottoman conquest of the island in 1571, about 30,000 Turkish settlers were given land once they arrived in Cyprus. Additionally, many of the islanders converted to Islam during the early years of Ottoman rule. Nonetheless, the influx of mainly Muslim settlers to Cyprus continued intermittently until the end of the Ottoman period. Today, while Northern Cyprus is home to a significant part of the Turkish Cypriot population, the majority of Turkish Cypriots live abroad, forming the Turkish Cypriot diaspora. This diaspora came into existence after the Ottoman Empire transferred the control of the island to the British Empire, as many Turkish Cypriots emigrated primarily to Turkey and the United Kingdom for political and economic reasons. The emigration was exacerbated by the intercommunal violence in the 1950s and 1960s, as Turkish Cypriots had to live in enclaves in Cyprus. The vernacular of Turkish spoken by Turkish Cypriots is Cypriot Turkish and officially Standard Turkish which has been strongly influenced by Cypriot Greek as well as English. Although there was no settled Muslim population in Cyprus prior to the Ottoman conquest of 1570-71, some Ottoman Turks were captured and carried off as prisoners to Cyprus in the year 1400 during Cypriot raids in the Asiatic and Egyptian coasts. Some of these captives accepted or were forced to convert to Christianity and were baptized; however, there were also some Turkish slaves who remained unbaptized. By 1425 some of these slaves helped the Mamluke army to gain access to Limassol Castle. Despite the release of some of the captives, after the payment of ransoms, most the baptized Turks continued to remain on the island. The medieval Cypriot historian Leontios Machairas recalled that the baptized Turks were not permitted to leave Nicosia when the Mamlukes approached the city after the battle of Khirokitia in 1426. According to Professor Charles Fraser Beckingham "there must therefore have been some Cypriots, at least nominally Christian, who were of Turkish, Arab, or Egyptian origin." An early sixteenth century (ca.1521-25) map of Cyprus by the Ottoman cartographer Piri Reis . By 1488 the Ottomans made their first attempt at conquering Cyprus when Sultan Bayezid II sent a fleet to conquer Famagusta. However, the attempt failed due to the timely intervention of a Venetian fleet. Thereafter, the Queen of Cyprus, Caterina Cornaro, was forced to relinquish her crown to the Republic of Venice in 1489. In the same year, Ottoman ships were seen off the coast of Karpas and the Venetians began to strengthen the fortifications of the island. Nonetheless, by 1500 coastal raids by Ottoman vessels resulted in the heavy loss of Venetian fleets forcing Venice to negotiate a peace treaty with the Ottoman Empire in 1503. However, by May 1539 Suleiman I decided to attack Limassol because the Venetians had been sheltering pirates who continuously attacked Ottoman ships. Limassol stayed under Ottoman control until a peace treaty was signed in 1540. Nonetheless, Cyprus continued to be a haven for pirates who interrupted the safe passage of Ottoman trade ships and Muslim pilgrims sailing to Mecca and Medina. By 1569 pirates captured the Ottoman defterdar (treasurer) of Egypt and Selim II decided to safeguard the sea route from Constantinople to Alexandria by conquering the island and clearing the eastern Mediterranean of all enemies in 1570-71. A miniature painting depicting the landing of Ottoman soldiers at Limassol Castle during the Ottoman conquest of Cyprus (1570-71). The Bekir Pasha Aqueduct was built by the Ottoman governor Ebubekir Pasha in 1747. It is considered to be the most prominent water supply ever built in Cyprus. The basis for the emergence of a sizeable and enduring Turkish community in Cyprus emerged when Ottoman troops landed on the island in mid-May 1570 and conquered it within a year from Venetian rule. The post-conquest established a significant Muslim community which consisted of soldiers from the campaign who remained behind and further settlers who were brought from Anatolia as part of a traditional Ottoman population policy. However, there were also new converts to Islam on the island during the early years of Ottoman rule. Genetic analysis of Y chromosomes (inherited from father to son) revealed that Turkish and Greek Cypriots have a high genetic affinity and share primarily a common pre-Ottoman paternal ancestry. Both Turkish and Greek Cypriots have a minor genetic relation with surrounding populations, mainly with Calabrians (southern Italy), Albanians (particularly for Greek Cypriots), Lebanese and Libyans (only for Turkish Cypriots). The genetic affinity between Calabrians and Cypriots could be a result of a common ancient Greek (Achaean) genetic contribution to both populations. In addition to documented settlement of Anatolian peasants and craftsmen, as well as the arrival of soldiers, decrees were also issued banishing Anatolian tribes, "undesirable" persons and members of various "troublesome" Muslim sects, principally those officially classified as "heretic". This influx of mainly Muslim settlers to Cyprus continued intermittently until the end of the Ottoman period. By the second quarter of the nineteenth century, approximately 30,000 Muslims were living in Cyprus, comprising about 35% of the total population. The fact that Turkish was the main language spoken by the Muslims of the island is a significant indicator that the majority of them were either Turkish-speaking Anatolians or otherwise from a Turkic background. Throughout the Ottoman rule, the demographic ratio between Christian "Greeks" and Muslim "Turks" fluctuated constantly. During 1745-1814, the Muslim Turkish Cypriots constituted the majority on the island against the Christian Greek Cypriots (TCs being max 75% of total island population) (Drummond, 1745: 150,000 vs. 50,000; Kyprianos, 1777: 47,000 vs. 37,000; De Vezin, 1788-1792: 60,000 vs. 20,000; Kinneir 1814: 35,000 vs. 35,000) However, by 1841, Turks made up 27% of the island's population. One of the reasons for this decline is because the Turkish community were obliged to serve in the Ottoman army for years, usually away from home, very often losing their lives in the endless wars of the Ottoman Empire. Another reason for the declining population was because of the emigration trend of some 15,000 Turkish Cypriots to Anatolia in 1878, when the Ottoman Turks handed over the administration of the island to Britain. By 1878, during the Congress of Berlin, under the terms of the Anglo-Ottoman Cyprus Convention, the Ottoman Turks had agreed to assign Cyprus to Britain to occupy and rule, though not to possess as sovereign territory. According to the first British census of Cyprus, in 1881, 95% of the island's Muslims spoke Turkish as their mother tongue. As of the 1920s, the percentage of Greek-speaking Muslims had dropped from 5%, in 1881, to just under 2% of the total Muslim population. During the opening years of the twentieth century Ottomanism became an ever more popular identity held by the Cypriot Muslim intelligentsia, especially in the wake of the Young Turk Revolution of 1908. Increasing numbers of Young Turks who had turned against Sultan Abdul Hamid II sought refuge in Cyprus. A rising class of disgruntled intellectuals in the island's main urban centres gradually began to warm to the ideas of positivism, freedom and modernization. Spurred on by the rising calls for "enosis", the union with Greece, emanating from Greek Cypriots, an initially hesitant "Turkism" was also starting to appear in certain newspaper articles and to be heard in the political debates of the local intelligentsia of Cyprus. In line with the changes introduced in the Ottoman Empire after 1908, the curricula of Cyprus's Muslim schools, such as the "Idadi", were also altered to incorporate more secular teachings with increasingly Turkish nationalist undertones. Many of these graduates in due course ended up as teachers in the growing number of urban and rural schools that had begun to proliferate across the island by the 1920s. Mehmet Remzi Okan with his wife and children in 1919 during the Turkish War of Independence. The family were Turkish Cypriots who owned the newspaper "Söz Gazetesi". In 1914 the Ottoman Empire joined the First World War against the Allied Forces and Britain annexed the island. Cyprus's Muslim inhabitants were officially asked to choose between adopting either British nationality or retaining their Ottoman subject status; about 4,000–8,500 Muslims decided to leave the island and move to Turkey. Following its defeat in World War I, the Ottoman Empire were faced with the Greco-Turkish War (1919–1922) whereby the Greek incursion into Anatolia aimed at claiming what Greece believed to be historically Greek territory. For the Ottoman Turks of Cyprus, already fearing the aims of enosis-seeking Greek Cypriots, reports of atrocities committed by the Greeks against the Turkish populations in Anatolia, and the Greek Occupation of Smyrna, produced further fears for their own future. Greek forces were routed in 1922 under the leadership of Mustafa Kemal Atatürk who, in 1923, proclaimed the new Republic of Turkey and renounced irredentist claims to former Ottoman territories beyond the Anatolian heartland. Muslims in Cyprus were thus excluded from the nation-building project, though many still heeded Atatürk's call to join in the establishment of the new nation-state, and opted for Turkish citizenship. Between 1881 and 1927 approximately 30,000 Turkish Cypriots emigrated to Turkey. The 1920s was to prove a critical decade in terms of stricter ethno-religious compartments; hence, Muslim Cypriots who remained on the island gradually embraced the ideology of Turkish nationalism due to the impact of the Kemalist Revolution. At its core were the Kemalist values of secularism, modernization and westernization; reforms such as the introduction of the new Turkish alphabet, adoption of western dress and secularization, were adopted voluntarily by Muslim Turkish Cypriots, who had been prepared for such changes not just by the Tanzimat but also by several decades of British rule. Many of those Cypriots who until then had still identified themselves primarily as Muslims began now to see themselves principally as Turks in Cyprus. By 1950, a Cypriot Enosis referendum in which 95.7% of Greek Cypriot voters supported a fight aimed at enosis, the union of Cyprus with Greece were led by an armed organisation, in 1955, called EOKA by Georgios Grivas which aimed at bringing down British rule and uniting the island of Cyprus with Greece. Turkish Cypriots had always reacted immediately against the objective of enosis; thus, the 1950s saw many Turkish Cypriots who were forced to flee from their homes. In 1958, Turkish Cypriots set up their own armed group called Turkish Resistance Organisation (TMT) and by early 1958, the first wave of armed conflict between the two communities began; a few hundred Turkish Cypriots left their villages and quarters in the mixed towns and never returned. An old Turkish Cypriot "mahalle" (quarter) in Paphos (1969). By 16 August 1960 the island of Cyprus became an independent state, the Republic of Cyprus, with power sharing between the two communities under the 1960 Zurich agreements, with Britain, Greece and Turkey as Guarantor Powers. Archbishop Makarios III was elected as president by the Greek Cypriots and Dr. Fazıl Küçük was elected as vice-president by the Turkish Cypriots. However, in December 1963, in the events known as "Bloody Christmas", when Makarios III attempted to modify the Constitution, Greek Cypriots initiated a military campaign against the Turkish Cypriots and began to attack Turkish inhabited villages; by early 1964, the Turkish Cypriots started to withdraw into armed enclaves where the Greek Cypriots blockaded them, resulting in some 25,000 Turkish Cypriots becoming refugees, or internally "displaced persons". This resulted in the UN peacekeeping force, UNFICYP, being stationed on the island as well as an external migration trend of thousands more Turkish Cypriots to the United Kingdom, Turkey, North America and Australia. With the rise to power of the Greek military junta, a decade later, in 1974, a group of right-wing Greek extremists, EOKA B, who supported the union of Cyprus with Greece staged a coup. This action precipitated the Turkish invasion of Cyprus, which led to the capture of the present-day territory of Northern Cyprus the following month, after a ceasefire collapsed. The Turkish invasion resulted in the occupation of some 37% of the island in the north. After the Turkish invasion and the ensuing 1975 Vienna agreements, 60,000 Turkish Cypriots who lived in the south of the island fled to the north. The 1974-1975 movement was strictly organised by the Provisional Turkish Administration who tried to preserve village communities intact. In 1983 the Turkish Cypriots declared their own state in the north, the Turkish Republic of Northern Cyprus, which remains internationally unrecognised, except by Turkey. In 2004, a referendum for the unification of the island, the "Annan Plan", was accepted by 65% of Turkish Cypriots but rejected by 76% of Greek Cypriots. The Turkish Cypriots are Turkish-speaking, regard themselves as secular Muslims, and take pride in their Ottoman heritage. However, Turkish Cypriots differentiate themselves from mainlanders, especially from the religiously conservative settlers who have come to Cyprus more recently, but their strong connection to Turkey is nonetheless undisputed. Hence, the Turkish Cypriot identity is based on their ethnic Turkish roots and links to mainland Turkey, but also to their Cypriot character with cultural and linguistic similarities with Greek Cypriots. Their culture is heavily based on family ties linked to parents, siblings, and relatives; one's neighbourhood is also considered important as emphasis is given on helping those in need. Thus, much of their lives revolves around social activities, and food is a central feature of gatherings. Turkish Cypriot folk dances, music, and art are also integral parts of their culture. The Hala Sultan Tekke was built by the Ottomans in the 18th century. The majority of Turkish Cypriots (99%) are Sunni Muslims. However, the secularizing force of Kemalism has also exerted an impact on Turkish Cypriots. Religious practices are considered a matter of individual choice and many do not actively practice their religion. Alcohol is frequently consumed within the community and most Turkish Cypriot women do not cover their heads. Turkish Cypriot males are generally circumcised at a young age in accordance with religious beliefs, although, this practice appears more related to custom and tradition than to powerful religious motivation. The social/religious phenomenon of Crypto-Christianity was observed in Cyprus, as in other parts of the Ottoman Empire. The cryptochristians of Cyprus were known as Linobambaki (= of linen and cotton). They are mentioned by foreign travellers as Turks who are secretly Greeks, observing the Greek Orthodox fasting (Turner 1815), drinking wine, eating pork and often taking Christian wives. The Turkish language was introduced to Cyprus with the Ottoman conquest in 1571 and became the politically dominant, prestigious language, of the administration. In the post-Ottoman period, Cypriot Turkish was relatively isolated from standard Turkish and had strong influences by the Cypriot Greek dialect. The condition of coexistence with the Greek Cypriots led to a certain bilingualism whereby Turkish Cypriots' knowledge of Greek was important in areas where the two communities lived and worked together. According to Prof. C. F. Beckingham (1957), in Cyprus religious and linguistic divisions do not always coincided. There were "Turkish", i.e. Muslim villages in which the normal language was Greek. Among them were Lapithiou, Platanisto, Ayios Simeon Beckingham said that this phenomenon has not been adequately investigated. The existence of Greek-speaking Muslims is also mentioned in subsequent works. Ozan Gülle (2014), "it is historically well documented that Turkish Cypriots showed large differences in their frequency of communication in Cypriot Greek [...]: On one end of the spectrum are Turkish Cypriots who were probably monolingual Cypriot Greek speakers or had only little competency in Turkish, ...". The linguistic situation changed radically, in 1974, when the island was divided into a Greek south and a Turkish north (Northern Cyprus). Today, the Cypriot Turkish dialect is being exposed to increasing standard Turkish through immigration from Turkey, new mass media, and new educational institutions. Nonetheless, a Turkish speaker familiar with the Cypriot Turkish variety of Turkish can still easily identify a member of the community from one who is not. Although many Turkish Cypriots command standard Turkish as well, they generally choose to use their own variety in particular contexts to affirm their identity. Most commonly, these differences are in pronunciation, but they extend to lexicon and grammatical structures as well. There are many words used by Turkish Cypriots that originate in the particular historical circumstances of the island, including English and Greek, and therefore have no precedent in standard Turkish. There are also words used by the Turkish Cypriot and Greek Cypriot communities which are authentically Cypriot in origin. Folk music and dancing is an integral part of social life among Turkish Cypriots. Traditional Turkish Cypriot folk dances can be divided into five categories: Karsilamas, Sirtos, Zeybeks, Ciftetellis/Arabiyes, and Topical Dances (such as Orak, Kozan, Kartal and Topal). The folk dancing groups usually have performances during national festivals, weddings, Turkish nights at hotels and within tourism areas. According to the 2006 Northern Cyprus Census, there were 145,443 Turkish Cypriots born on the island who were resident in North Cyprus (TRNC). Of the Cypriot-born population, 120,007 had both parents born in Cyprus; 12,628 had one of their parents born in Cyprus and the other born in another country. Thus, 132,635 Turkish Cypriots had at least one parent born in Cyprus. According to the 2011 Northern Cyprus Census, there were 160,207 Turkish Cypriots born on the island who were resident in North Cyprus (TRNC). There was significant Turkish Cypriot emigration from the island during the nineteenth and twentieth centuries, mainly to Great Britain, Australia, and Turkey. Emigration from Cyprus has mainly been for economical and political reasons. According to the TRNC Ministry of Foreign Affairs, in 2001, 500,000 Turkish Cypriots were living in Turkey; 200,000 in Great Britain; 40,000 in Australia; some 10,000 in North America; and 5,000 in other countries (mainly in Germany). A more recent estimate, in 2011, by the Home Affairs Committee states that there is now 300,000 Turkish Cypriots living in the United Kingdom whilst Turkish Cypriots themselves claim that the British-Turkish Cypriot community has reached 400,000. Furthermore, recent estimates suggest that there is between 60,000-120,000 Turkish Cypriots living in Australia, 5,000 in the United States, 2,000 in Germany, 1,800 in Canada, 1,600 in New Zealand, and a smaller community in South Africa. A Turkish Cypriot family who migrated to Turkey in 1935. The first mass migration of Turkish Cypriots to Turkey occurred in 1878 when the Ottoman Empire leased Cyprus to Great Britain. The flow of Turkish Cypriot emigration to Turkey continued in the aftermath of the First World War, and gained its greatest velocity in the mid-1920s. Economic motives played an important part of the continued migration to Turkey because conditions for the poor in Cyprus during the 1920s were especially harsh. Thereafter, Turkish Cypriots continued to migrate to Turkey during the Second World War in the 1940s and during the Cyprus conflict of the 1960s and 1970s. Initially, enthusiasm to emigrate to Turkey was inflated by the euphoria that greeted the birth of the newly established Republic of Turkey and later of promises of assistance to Turks who emigrated. A decision taken by the Turkish Government at the end of 1925, for instance, noted that the Turks of Cyprus had, according to the Treaty of Lausanne, the right to emigrate to the republic, and therefore, families that so emigrated would be given a house and sufficient land. The precise number of those who emigrated to Turkey is a matter that remains unknown. The press in Turkey reported in mid-1927 that of those who had opted for Turkish nationality, 5,000–6,000 Turkish Cypriots had already settled in Turkey. However, many Turkish Cypriots had already emigrated even before the rights accorded to them under the Treaty of Lausanne had come into force. The first wave of immigration from Cyprus occurred in 1878 when the Ottomans were obliged to lease the island to Great Britain; at that time, 15,000 people moved to Anatolia. When the 1923 Lausanne Treaty gave the island to Great Britain another 30,000 immigrants came to Turkey. "[I]f the Turkish-Cypriot community had, like the Greek-Cypriots, increased by 101 percent between 1881 and 1931, it would have totalled 91,300 in 1931 – 27,000 more than the number enumerated. Is it possible that so many Turkish-Cypriots emigrated in the fifty-year period? Taken together, the considerations just mentioned suggest that it probably was. From a base of 45,000 in 1881, emigration of anything like 27,000 persons seems huge, but after subtracting the known 5,000 of the 1920s, the balance represents an average annual outflow of some 500 – not enough, probably, to concern the community’s leaders, evoke official comment, or be documented in any way which survives today". Consequently, today  as well, when we take into account the state of the population in Cyprus, it is not sufficient to say, for instance, that 100,000 Turks live there. One should rather say that 100,000 live there and that 300,000 Turkish Cypriots live in various parts of Turkey. By 2001 the TRNC Ministry of Foreign Affairs estimated that 500,000 Turkish Cypriots were living in Turkey. Turkish Cypriots who remained in Cyprus during the early twentieth century were faced with the harsh economic conditions of the Great Depression under British rule. Consequently, many families in the poorest villages began to marry off their daughters to Arabs in British Palestine in the hope that they would have a better life. Many Palestinian Arabs, who had heard of the difficult conditions of the Turkish Cypriots, posed as wealthy doctors and engineers and offered a bride price, of about £10-15, to marry young Turkish Cypriot women. In a recent study by Neriman Cahit, in her book "Brides for Sale", she found that in reality most of these men had mediocre jobs and were already married with children. Unaware of these realities, Turkish Cypriot families continued to send their daughters to Palestine until the 1950s. It is estimated that within 30 years over 4,000 Turkish Cypriot women were sold to Arab men and sent to Palestine. 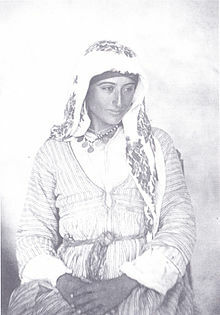 Furthermore, some Turkish Cypriot women were also sent to other countries in the Arab world, such as Jordan. In recent years second and third generation Palestinians of Turkish Cypriot origin have been applying for Cypriot citizenship; several hundred Palestinians have already been successful in obtaining Cypriot passports. In 2012 Yeliz Shukri and Stavros Papageorghiou secured financial support for the making of a film entitled "Forgotten Brides" which sought to investigate the fate of these Turkish Cypriot women. Turkish Cypriot migration to the United Kingdom began in the early 1920s when the British Empire annexed Cyprus in 1914 and the residents of Cyprus became subjects of the Crown. Some arrived as students and tourists whilst others left the island due to the harsh economic and political life during the British colony of Cyprus. Emigration to the United Kingdom continued to increase when the Great Depression of 1929 brought economic depression to Cyprus, with unemployment and low wages being a significant issue. During the Second World War, the number of Turkish run cafes increased from 20 in 1939 to 200 in 1945 which created a demand for more Turkish Cypriot workers. Throughout the 1950s, Turkish Cypriots emigrated for economic reasons and by 1958 their number was estimated to be 8,500. Their numbers continued to increase each year as rumours about immigration restrictions appeared in much of the Cypriot media. The 1950s also saw the arrival of many Turkish Cypriots to the United Kingdom due to political reasons; many began to flee as a result of the EOKA struggle and its aim of "enosis". Once the ethnic cleansing broke out in 1963, and some 25,000 Turkish Cypriots became internally displaced, accounting to about a fifth of their population. The political and economic unrest in Cyprus, after 1964, sharply increased the number of Turkish Cypriot immigrants to the United Kingdom. Many of these early migrants worked in the clothing industry in London, where both men and women could work together; many worked in the textile industry as sewing was a skill which the community had already acquired in Cyprus. Turkish Cypriots were concentrated mainly in the north-east of London and specialised in the heavy-wear sector, such as coats and tailored garments. This sector offered work opportunities where poor knowledge of the English language was not a problem and where self-employment was a possibility. Once the Turkish Cypriots declared their own state, the Turkish Republic of Northern Cyprus, the division of the island led to an economic embargo against the Turkish Cypriots by the Greek Cypriot controlled Republic of Cyprus. This had the effect of depriving the Turkish Cypriots of foreign investment, aid and export markets; thus, it caused the Turkish Cypriot economy to remain stagnant and undeveloped. Due to these economic and political issues, an estimated 130,000 Turkish Cypriots have emigrated from Northern Cyprus since its establishment to the United Kingdom. Erkin Bairam - Zoology Professor. Erkin Bairam - Noted economics professor with key contributions to economic theory. Okan Ersan - Guitarist, composer and recording artist. Turkish Cypriot representatives of Parliamentary Assembly of the Council of Europe (PACE) elected in the Assembly of 1960 partnership government: 1961-1964: Halit Ali Riza, 1961-1963: Umit Suleyman, 1963-1964: Burhan Nalbantoglu. ^ Hatay, Mete (2017). "Population and Politics in north Cyprus: An overview of the ethno-demography of north Cyprus in the light of the 2011 census". PRIO Cyprus Centre. p. 48. Retrieved 20 April 2018. Taking the estimate of a current ‘TRNC’ citizen population at around 215,000, then, and subtracting the approximately 6,000 persons born in third countries whose heritage is not known, we may assume that there are around 150,000 persons of native Cypriot heritage, including 12,000-15,000 of mixed parentage (one Cypriot parent). ^ a b c d European Population Conference: Proceedings, Geneva, 2, Council of Europe, 1993, The number of Turkish Cypriots now living in Turkey is about 300 000 while the number of those who have settled in England is 100 000. There are also approximately 30 000 Turkish Cypriots living in Australia and about 6 000 in Canada and the U.S.A.
^ Kanlı, Yusuf (2017). "Migration is a killer of Turkish Cyprus". Hurriyet Daily News. Retrieved 8 April 2018. ...Turkish Cypriot backgrounds living in Turkey. There are many figures. Some say it is around 300,000, some claim it is well over 650,000. ^ Kanlı, Yusuf (2018). "Bridging the population gap in Cyprus". Hurriyet Daily News. Retrieved 8 April 2018. It is often said that if the descendants of those who migrated from Cyprus to Turkey back in 1931 are included, the number of Turkish Cypriots living in the “motherland” might exceed 600,000. ^ a b c d e "Briefing Notes on the Cyprus Issue". Ministry of Foreign Affairs and Defence, Turkish Republic of Northern Cyprus. May 2001. Archived from the original on 9 July 2010. Retrieved 5 October 2010. It should be noted that there are currently about 500,000 Turkish Cypriots living in Turkey; 200,000 in Great Britain; 40,000 in Australia and some 10,000 in North America and 5,000 in other countries. ^ a b c d Star Kıbrıs (2012). "'Sözünüzü Tutun'". Retrieved 10 September 2012. Tarihsel süreç içerisinde yaşanan bazı olaylar nedeniyle Kıbrıs’tan göç etmek zorunda kalan Türklerin, bugün dünyanın farklı bölgelerinde yaşam sürdüklerine dikkat çeken Kasapoğlu, “Kıbrıslı Türklerin 300 bin kadarı İngiltere’de, 500 bini Türkiye’de, 120 bini Avustralya’da, 5 bini ABD’de, bin 800’ü Kanada’da, çok az bir popülasyon Güney Afrika Cumhuriyeti’nde, bin 600’ü Yeni Zellanda’da, 2 bin kadarının da Almanya’da olduğu tahmin ediliyor” ifadelerini kullandı. ^ Edwards, Viv. "Turkish today". Your Voice. BBC. Retrieved 7 December 2008. 130,000 nationals of the Turkish Republic of Northern Cyprus currently live in the UK. These figures, however, do not include the much larger numbers of Turkish speakers who have been born or have obtained British nationality. ^ "Turkish community in the UK". Consulate General for the Republic of Turkey in London. Archived from the original on 4 March 2008. Retrieved 5 January 2010. Please note that approximately 130,000 nationals of the Turkish Republic of Northern Cyprus, whose mother tongue is Turkish, are living in the UK as well. ^ "Network Radio BBC Week 39: Wednesday 28 September 2011: Turkish Delight?". BBC. Retrieved 14 September 2011. Turkish influence on the UK began with the arrival of coffee houses in the 17th century. There are now estimated to be 150,000 immigrants from mainland Turkey as well as 300,000 Turkish Cypriots, many leaving Cyprus during the Fifties and Sixties during the internal war. ^ Implications for the Justice and Home Affairs area of the accession of Turkey to the European Union, The Conversation, 2016, retrieved 8 April 2016, Today, the 300,000 Turkish Cypriots make up the largest part of Britain’s Turkish-speaking community. ^ Turkish people and British politics: Where are the other 499,997?, Operation Black Vote, 2012, retrieved 8 April 2016, At present, there are an estimated 300,000 Turkish Cypriots living in the UK which is even more compared to Turkish Cypriots in North Cyprus as estimates shows that there are between 150,000 - 200,000. ^ a b c d Akben, Gözde (11 February 2010). "OLMALI MI, OLMAMALI MI?". Star Kibris. Retrieved 21 January 2011. ^ Cemal, Akay (2 June 2011). "Dıştaki gençlerin askerlik sorunu çözülmedikçe…". Kıbrıs Gazetesi. Archived from the original on 1 August 2011. Retrieved 17 June 2011. ^ Kibris Gazetesi. "Avustralya'daki Kıbrıslı Türkler ve Temsilcilik..." Archived from the original on 21 July 2011. Retrieved 31 May 2011. ^ a b BRT. "AVUSTURALYA'DA KIBRS TÜRKÜNÜN SESİ". Retrieved 18 July 2011. ^ a b c Sabah. "Küçük adanın talihsiz kızları". Retrieved 26 October 2015. ^ "Population - Country of Birth, Citizenship Category, Country of Citizenship, Language, Religion, Ethnic/Religious Group, 2011". Statistical Service of the Republic of Cyprus. Retrieved 2016-04-26. ^ Welin & Ekelund 2004, 2. ^ a b Jennings 1993, 137-38. ^ a b Çevikel 2000, 178. ^ a b Beckingham 1957, 171. ^ Hill & 1948B, 736. ^ a b Gazioğlu 1990, 16. ^ Heraclides, Alexandros; Bashiardes, Evy; Fernández-Domínguez, Eva; Bertoncini, Stefania; Chimonas, Marios; Christofi, Vasilis; King, Jonathan; Budowle, Bruce; Manoli, Panayiotis; Caillou, Marios A.; Wang, Chuan-Chao (16 June 2017). "Y-chromosomal analysis of Greek Cypriots reveals a primarily common pre-Ottoman paternal ancestry with Turkish Cypriots". PLOS ONE. 12 (6): e0179474. doi:10.1371/journal.pone.0179474. ^ a b c Heper & Criss 2009, 92. ^ Nevzat & Hatay 2009, 916. ^ a b St. John-Jones 1983, 56. ^ Nevzat & Hatay 2009, 918. ^ Xypolia, Ilia (2011). "Cypriot Muslims among Ottomans, Turks and British". Bogazici Journal. 25 (2): 109–120. ^ Nevzat & Hatay 2009, 919. ^ a b c Sonyel 2000, 147. ^ a b c Kliot 2007, 59. ^ a b Cassia 2007, 21. ^ Eyal Benvenisti (23 February 2012). The International Law of Occupation. Oxford University Press. p. 191. ISBN 978-0-19-958889-3. ^ Bryant & Papadakis 2012, 5. ^ Bryant & Papadakis 2012, 121. ^ Güven-Lisaniler & Rodriguez 2002, 183. ^ a b Broome 2004, 286. ^ Nevzat & Hatay 2009, 928. ^ Άντρος Παυλίδης, "Η Κύπρος ανά τους αιώνες μέσα από τα κείμενα ξένων επισκεπτών της" (Antros Palvlides, "Cyprus through the centuries in the texts of her foreign visitors), ed. Φιλόκυπρος (Philokypros), Cyprus 1994, vol. 2, pp. 1098 (William Turner 1815), 1141 (Luis Salvator 1873), 1163 (Hepworth W. Dixon 1878). In Greek language. ^ a b Johanson 2011, 738. ^ Quotation marks as in the source. ^ There are/were wholly or almost wholly Turkish villages named after christian saints. ^ a b c Güven-Lisaniler & Rodriguez 2002, 184. ^ a b Nevzat 2005, 276. ^ H.M. Stationery Office (1955). "The Tripartite Conference on the Eastern Mediterranean and Cyprus held by the Governments of the United Kingdom of Great Britain and Northern Ireland, Greece, and Turkey". H.M. Stationery Office. p. 22. Retrieved 21 October 2013. ^ Mert, Ali-Aybar & Rize 1994, 95. ^ Constandinides & Papadakis 2014, 30. ^ London Evening Standard. "Turkish and proud to be here". Archived from the original on 22 January 2011. Retrieved 2 October 2010. ^ "PACE Member File". Retrieved 13 May 2015. ^ "PACE may be an example for Turkish Cypriot representation at EP". TodaysZaman. Archived from the original on 26 February 2014. Retrieved 13 May 2015. ^ "İki yabancı". Sabah. 27 January 2011. Retrieved 13 May 2015. Bilge, Ali Suat (1961), Le Conflit de Chypre et les Chypriotes Turcs, Ajans Türk . Boyle, Kevin; Sheen, Juliet (1997), Freedom of Religion and Belief: A World Report, Routledge, ISBN 0-415-15978-4 . Broome, Benjamin J. (2004), "Building a Shared Future across the Divide: Identity and Conflict in Cyprus", in Fong, Mary; Chuang, Rueyling (eds. ), Communicating Ethnic and Cultural Identity, Rowman & Littlefield, ISBN 074251739X CS1 maint: Extra text: editors list (link). Bryant, Rebecca; Papadakis, Yiannis (2012), Cyprus and the Politics of Memory: History, Community and Conflict, I.B.Tauris, ISBN 1780761074 . Beckingham, C.F. (1957), "The Turks of Cyprus", The Journal of the Royal Anthropological Institute of Great Britain and Ireland, 87 (2): 165–174 . Çakmak, Zafer (2008), "Kıbrıs'tan Anadolu'ya Türk Göçü (1878-1938)", Türkiyat Araştırmaları Enstitüsü Dergisi, 14 (36): 201–223, doi:10.14222/turkiyat767 . Cahit, Neriman (2014), Brides for Sale, TCAUW, ISBN 9789963737345 . Canefe, Nergis (2002), "Markers of Turkish Cypriot History in the Diaspora: Power, visibility and identity", Rethinking History, 6 (1): 57–76, doi:10.1080/13642520110112119, OCLC 440918386 . Carment, David; James, Patrick; Taydas, Zeynep (2006), Who Intervenes? : Ethnic Conflict and Interstate Crisis, Ohio State University Press, ISBN 0-8142-1013-9 . Çevikel, Serkan (2000), Kıbrıs Eyaleti, Yönetim, Kilise, Ayan ve Halk (1750 - 1800), Eastern Mediterranean University Press, ISBN 975938650X . Clogg, Richard (1992), A Concise History of Greece, Cambridge University Press, ISBN 0521808723 . Cockburn, Cynthia (2004), The line: Women, Partition and the Gender Order in Cyprus, Zed Books, ISBN 1-84277-421-2 . Constandinides, Costas; Papadakis, Yiannis (2014), "Introduction: Scenarios of History, Themes, and Politics in Cypriot Cinemas", Cypriot Cinemas: Memory, Conflict, and Identity in the Margins of Europe, Bloomsbury Publishing, ISBN 1623564603 . Constantini, Vera (2009), "In Search of Lost Prosperity: Aspects and Phases of Cyprus's Integration into the Ottoman Empire", in Michael, Michalis.N. ; Kappler, Matthias; Gavriel, Eftihios, Ottoman Cyprus: A Collection of Studies on History and Culture, Harrassowitz Verlag, ISBN 3447058994 . Darke, Diana (2009), North Cyprus, Bradt Travel Guides, ISBN 1-84162-244-3 . Davey, Eileen (1994), Northern Cyprus: A Traveller's Guide, I.B.Tauris, ISBN 1-85043-747-5 . Demirtaş-Coşkun, Birgül (2010), "Reconsidering the Cyprus Issue: An Anatomy of Failure of European Catalyst (1995-2002)", in Laçiner, Sedat; Özcan, Mehmet; Bal, İhsan (eds), USAK Yearbook of International Politics and Law 2010, Vol. 3, USAK Books, ISBN 605-4030-26-4 CS1 maint: Extra text: editors list (link). Gazioğlu, Ahmet C (1990), The Turks in Cyprus: A province of the Ottoman Empire (1571-1878), K.Rustem & Brother, ISBN 9963565131 . Göktepe, Cihat (2003), British foreign policy towards Turkey, 1959-1965, Routledge, ISBN 0-7146-5396-9 . Goetz, Rolf (2008), Cyprus: 42 selected walks in the valleys and mountains, Bergverlag Rother GmbH, ISBN 3-7633-4814-X . Güven-Lisaniler, Fatma (2003), Assessing the Status of Women: A Step Towards Equality, Turkish Cypriot University Women Association . Güven-Lisaniler, Fatma; Rodriguez, Leopoldo (2002), "The social and economic impact of EU membership on northern Cyprus", in Diez, Thomas (ed. ), The European Union and the Cyprus Conflict: Modern Conflict, Postmodern Union, Manchester University Press, ISBN 0719060796 CS1 maint: Extra text: editors list (link). Heper, Metin; Criss, Bilge (2009), Historical Dictionary of Turkey, Scarecrow Press, ISBN 0810860651 . Hill, George Francis (1948), A History of Cyprus. Vol.2: The Frankish Period, 1192-1432, Cambridge University Press, ISBN 1108020631 . Hill, George Francis (1948B), A History of Cyprus. Vol.3: The Frankish Period, 1432-1571, Cambridge University Press, ISBN 110802064X . Hill, George Francis (1952), A History of Cyprus. Vol.4: The Ottoman province, the British colony, 1571-1948, Cambridge University Press, ISBN 1108020658 . Inalcik, Halil, A Note of the Population of Cyprus (PDF), Bilkent University, archived from the original (PDF) on 18 July 2011 . Ioannides, Christos P. (1991), In Turkeys Image: The Transformation of Occupied Cyprus into a Turkish Province, Aristide D. Caratzas, ISBN 0-89241-509-6 . Jennings, Ronald (1993), Christians and Muslims in Ottoman Cyprus and the Mediterranean World, 1571-1640, New York University Press, ISBN 0814741819 . Kızılyürek, Niyazi (2006), "The Turkish Cypriots from an Ottoman-Muslim Community to a National Community", in Faustmann, Hubert; Peristianis, Nicos (eds), Britain in Cyprus: Colonialism and Post-Colonialism, 1878-2006, Bibliopolis, ISBN 3933925363 CS1 maint: Extra text: editors list (link). Kliot, Nurit (2007), "Resettlement of Refugees in Finland and Cyprus: A Comparative Analysis and Possible Lessons for Israel", in Kacowicz, Arie Marcelo; Lutomski, Pawel (eds), Population resettlement in international conflicts: a comparative study, Lexington Books, ISBN 0-7391-1607-X CS1 maint: Extra text: editors list (link). Machairas, Leontios (1932), Recital Concerning the Sweet Land of Cyprus, Entitled 'Chronicle', Volume 2, Clarendon Press . Mert, Kadir; Ali-Aybar, Mehmet; Rize, Ekrem (1994), "Kıbrıslı Türk Kimliği", K.K.T.C. Milli Eğitim ve Kültür Bakanlığı Yayınları, 97 (17) . Mikropoulos, Tassos A. (2008), Elevating and Safeguarding Culture Using Tools of the Information Society: Dusty traces of the Muslim culture, Earthlab, ISBN 960-233-187-9 . Nesim, Ali (1987), Batmayan Eğitim Güneşlerimiz, KKTC Milli Eğitim ve Kültür Bakanlığı . Nevzat, Altay (2005), Nationalism Amongst the Turks of Cyprus: The First Wave (PDF), Oulu University Press, ISBN 9514277503 . Nevzat, Altay; Hatay, Mete (2009), "Politics, Society and the Decline of Islam in Cyprus: From the Ottoman Era to the Twenty-First Century", Middle Eastern Studies, 45 (6): 911–933, doi:10.1080/00263200903268686 . Orhonlu, Cengiz (2010), "The Ottoman Turks Settle in Cyprus", in Inalcık, Halil, The First International Congress of Cypriot Studies: Presentations of the Turkish Delegation, Institute for the Study of Turkish Culture . Panteli, Stavros (1990), The Making of Modern Cyprus: From Obscurity to Statehood, CInterworld Publications, ISBN 0-948853-09-3 . Percival, David Athelstane (1948), Cyprus: Census of Population and Agriculture 1946, Crown Agents for the Colonies . Rowan-moorhouse, Libby (2007), In the Land of Aphrodite, Power Publishing, ISBN 9963-673-17-1 . Rudolph, Joseph Russell (2008), Hot spot: North America and Europe, ABC-CLIO, ISBN 0-313-33621-0 . Salih, Halil Ibrahim (1968), Cyprus: An Analysis of Cypriot Political Discord, Brooklyn: T. Gaus' Sons . Savvides, Philippos K (2004), "Partition Revisited: The International Dimension and the Case of Cyprus", in Danopoulos, Constantine Panos; Vajpeyi, Dhirendra K.; Bar-Or, Amir(eds), Civil-military relations, nation building, and national identity: comparative perspectives, Greenwood Publishing Group, ISBN 0-275-97923-7 CS1 maint: Extra text: editors list (link). Shawn, Stanford J. (1976), History of the Ottoman Empire and modern Turkey, Volume 1, Cambridge University Press, ISBN 0-521-29163-1 . Spilling, Michael (2000), Cyprus, Marshall Cavendish, ISBN 0-7614-0978-5 . St. John-Jones, L.W. (1983), Population of Cyprus: Demographic Trends and Socio-economic Influences, Maurice Temple Smith Ltd, ISBN 0851172326 . Turkish Cypriot Human Rights Committee (1979), Human rights in Cyprus, University of Michigan . Welin, Gustaf; Ekelund, Christer (2004), The UN in Cyprus: Swedish Peace-keeping Operations 1964-1993, Hurst & Company, ISBN 1-85065-741-6 . Xypolia, Ilia (2011). "Cypriot Muslims among Ottomans, Turks and British" (PDF). Bogazici Journal. 25 (2): 109–120. Retrieved 15 October 2012. Yilmaz, Ihsan (2005), Muslim Laws, Politics and Society in Modern Nation States: Dynamic Legal Pluralisms in England, Turkey and Pakistan, Ashgate Publishing, ISBN 0-7546-4389-1 . Baybars, Taner, Plucked in a far-off land, London: Victor Gollancz, 1970. Beckingham, C. F., The Cypriot Turks, Journal of the Royal Central Asian Society, vol. 43, pp. 126–30, 1956. Beckingham, C. F., The Turks of Cyprus, Journal of the Royal Anthropological Institute of Great Britain and Ireland. vol 87(II), pp. 165–74. July-Dec. 1957. Beckingham, C. F., Islam and Turkish nationalism in Cyprus, Die Welt des Islam, NS, Vol 5, 65-83, 1957. Committee on Turkish Affairs, An investigation into matters concerning and affecting the Turkish community in Cyprus: Interim report, Nicosia: Government Printing Office, 1949. Dandini, Jerome. Voyage du Mont Liban / traduit de l'Italien du R. P. Jerome Dandini ... Ou il est traité tant de la créance ... des Maronites, que des plusieurs particularitez touchant les Turcs ... avec des remarques sur la theologie des chrétiens & ... des mahometans. Par R. S. P.
Jennings, Ronald C., Christians and Muslims in Ottoman Cyprus and the Mediterranean World, 1571–1640, New York University Studies in Near Eastern Civilization-Number XVIII, New York University Press, New York and London, 1993-Acknowledgments ix-xi + 428 pp. Xypolia, Ilia, 'Cypriot Muslims among Ottomans, Turks and British', Bogazici Journal, vol.25, pp. 109–120, 2011.